Fusion weddings can often be a sensitive subject to touch upon. They can make many people, particularly of the older Asian generation, uncomfortable and uneasy. 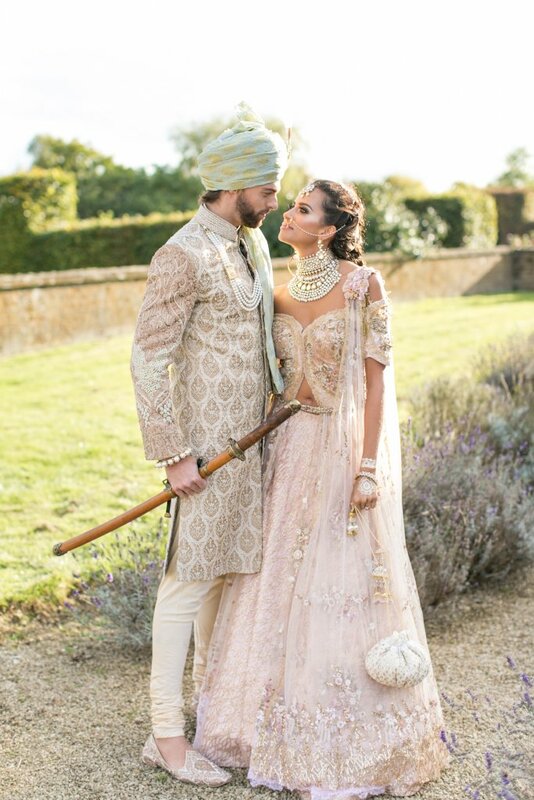 As Fusion weddings become more and more common nowadays, in a multicultural Britain. It is a topic I feel is important to talk to my readers and clients about, particularly when it comes to advice on how to plan an Fusion wedding. Now, unfortunately, most coverage on Fusion weddings in the media has focused on the attacks on them. And it saddens me greatly that in 2017, people are still being judged on who they fall in love with. But it is important to understand and try to keep in mind that for your grandparents or even parents, marrying outside your faith just wasn’t an option. And this is why telling your family is often the most difficult and daunting aspect of an fusion/interfaith wedding. This is something you want to leave ample time for. It can prove to be a struggle, as many priests refuse to perform such services for a fusion wedding. However, it is by no means impossible. Ask around. Know an interfaith/fusion wedding married couple? Ask them who they used to conduct their ceremony. Look to your community of people to find the answer. Or simply contact local organisations to find the answers. But always keep in mind that things can change so you would need a reliable officiant. I know from experience that a lot of couples who are having a fusion Sikh wedding have decided to have the Guru Granth Sahib at home and have one of their family members participate in the religious ceremony. This most definitely can be a viable and risk free option for Sikh couples. It could be that you choose to have two separate ceremonies of the two religions in question, and if this be the case, just make sure the officiant makes you and your partner feel comfortable, feel at ease, and that they believe whole heartedly in your union. Now I believe that no wedding should be a rushed ordeal. I think it important to take your time and get everything right, but I think fusion wedding couples should take even longer if possible. It is no secret that all marriages (and indeed relationships) have their problems. However, the issue of religion can be a big one and is not to be swept under the carpet. It should be examined and discussed thoroughly before entering a marriage, identifying the problems that may arise during married life and confronting them head on. A common example would be children. Which (if any) religion to raise them in can be a source of conflict and so, in preparation for your married life together, such topics should be resolved. This ties in quite nicely with point two, as it is all about taking the time you need to prepare for your married life together. Although tying the knot with someone from a different faith than yourself does NOT mean you abandon your beliefs and take up theirs, it does require your two worlds to blend together.Understanding your partner’s beliefs will bring you closer together, preparing you for a lifetime together. The venues, it is needless to say, are of the utmost importance to a fusion wedding. But finding a venue suitable for an fusion wedding can be a challenge. It must fit not one, but two cultures inside of it. So, a neutral setting in which to hold the ceremony and reception is best. This could be anything from a hotel ballroom to a country club – in other words, a relatively blank canvas. This will allow you and your partner to do exactly what you want with the place, bringing BOTH of your visions to life! Religion is a very personal thing, experienced differently by each individual. So why follow a strict mould when it comes to your wedding ceremony? With the right officiant by your side, you can work together to create a ceremony that is both deep and meaningful to the both of you. It should reflect your commitment and common values, including religious content only where you should desire. As I mentioned previously, the most difficult aspect of an fusion wedding can be breaking the news to your families, i.e. telling them about your engagement. They may not react the way you hope at first, but time really is a healer – be patient with your parents. Once they have got over the initial shock that you are straying from the norm, they will come around. But the most important piece of advice that I can give you is to be truthful with them. Try not to get defensive with them, whilst still being respectful, and they will warm to the idea. There would however, be nothing worse than surprising them with the news just weeks before the wedding, so involve them in the process. Give them a chance to get to know and love your significant other just as you yourself do. I think the best way to do this is for both families to sit down and discuss the religious/traditional aspects they believe to hold the most value. The decision is down to you and your partner, but by having open discussions, you are much more likely to keep the peace. 8.Celebrate YOUR wedding in the manner YOU choose! This may seem contradictory in line with getting your families involved, but it is THE most important step to remember when planning your fusion/interfaith wedding. As lovely as it is to celebrate your love with family and friends present, the whole point of a wedding is to symbolise and legalise the commitment you two have to one another. 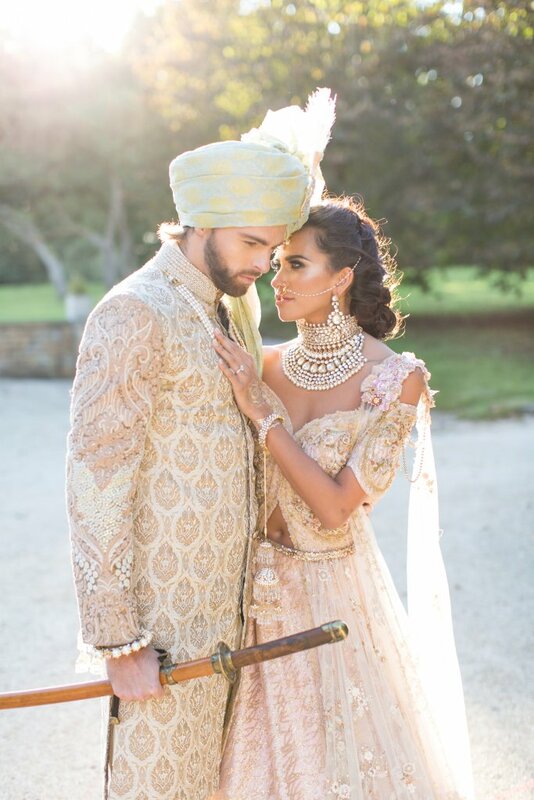 When you are planning your fusion wedding you will be faced with differing opinions and viewpoints from the Asian community and most likely your family. The key thing to remember is don’t be offended by this. Fusion and interfaith weddings is still a new way of celebrating love in the UK and you will face challenges. Try not to get stressed with dealing with different opinions when judgement presents itself. We also caught up with our good friend Raj from the Secret Wedding Blog which is a wedding blog which specialises in fusion and interfaith weddings. “Before you begin planning your interfaith wedding, you need to decide what’s important to you. Is it having a religious ceremony? Two religious ceremonies? Or keeping religion out of your wedding? It’s vital to keep in mind your partner’s expectations too, they might have always wanted a religious wedding. Whereas you might not. Understand from their point of view and come to a compromise. Sit down with your parents and your partner and come to an agreement on how you want your big day(s) to be. The day is about you and your partner, no one else, and it is crucial that you remember this. If your family refuse to support your wishes, then there is nothing you can do about that. You will never make everybody happy – so start with you. It would be a tragedy to look back at your own wedding and wish you had done it. I am honoured and proud to be planning and coordinating so many fusion weddings this year. 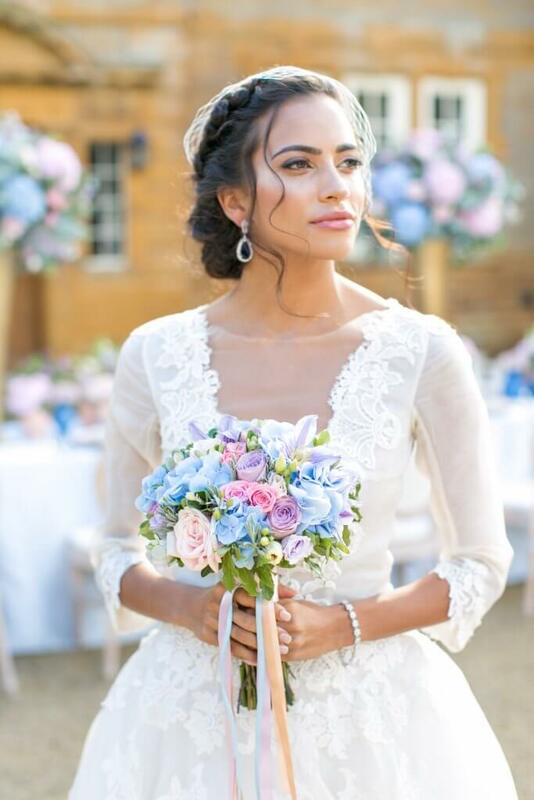 If you would like to know how I could help with your big day then please do drop me an email on hello@desibridedreams.co.uk or head over to www.desibridedreamsplanning.co.uk for more information.